The new Tesla Model S 100D has the same capacity battery as the better known P 100D (100kWh), but instead of being able to propel you through a 0-60 sprint in a ludicrous 2.4s, it does it in a still ridiculously fast 4.2s, faster than a base model Porsche 911. What you trade off for the loss of power is extra range: the S 100D can go a full 335 miles on a single charge. That’s more than any EV on the road, and should go a long way to satisfy even the most intrepid commuter. The best part is that you’ll save a whopping $39,500 over the P 100D, which might make you rethink why you needed to get to 60 in under three seconds anyway. By David Ponce on 08/12/16 • Leave a comment! This is pretty cool, but you absolutely have to watch the video to get why. KickStick, by Rise Robotics, is a tool to help skateboard riders get speed. It’s a long stick with a wheel at the end; you put the wheel down and lean into the stick, which will then drive you forward at up to 30mph. It’s pressure sensitive, so the more you lean on the stick, the faster you go. The wheel can generate up to 2.75hp, which is more than enough power to get you going. And with swappable batteries, you can keep going as far as you want. The stick collapses for easy transport, too. There’s no range or price information, but the company plans to launch on IndieGogo in the coming weeks, and you can sign up to be notified. By David Ponce on 09/17/15 • Leave a comment! 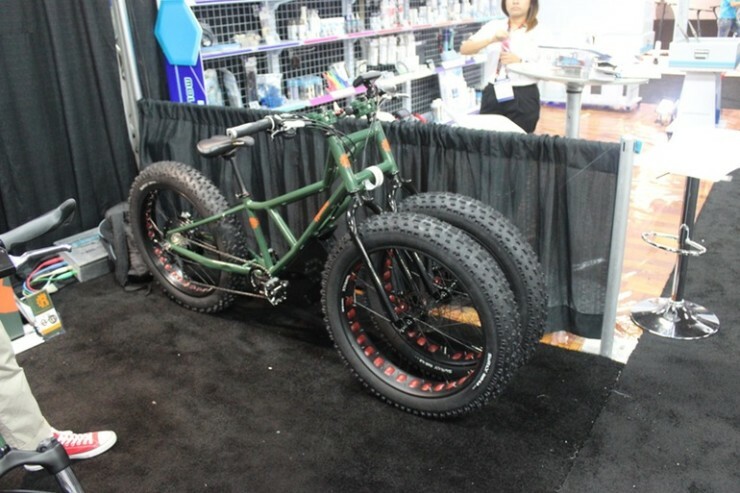 Fat bikes are all the rage these days, though we can’t quite comprehend why. Our limited understanding of trends doesn’t change anything to this reality however, so we’re not surprised to see manufacturer Standard Bearer Machines announcing a beefed up electric version of their Rengu line of fat bikes. The Rengu Juggernaut is a tadpole trike (with the single wheel at the back) that benefits from electric power assist, which is a more than welcome addition to a vehicle already notable for its inefficient locomotive properties. What’s new with this model is a 2,000-watt 3-phase high torque rear hub motor. It’s powered by a 48-volt 12.5-Ah lithium-polymer battery, and linked to a 3-phase controller. In throttle mode, it’ll take the trike to an electronically-limited top speed of 20 mph (32 km/h) for a distance of approximately 20 miles per charge. These trikes are meant to be used on sandy beaches, where the lack of electric assist would mean a much harder pedal. 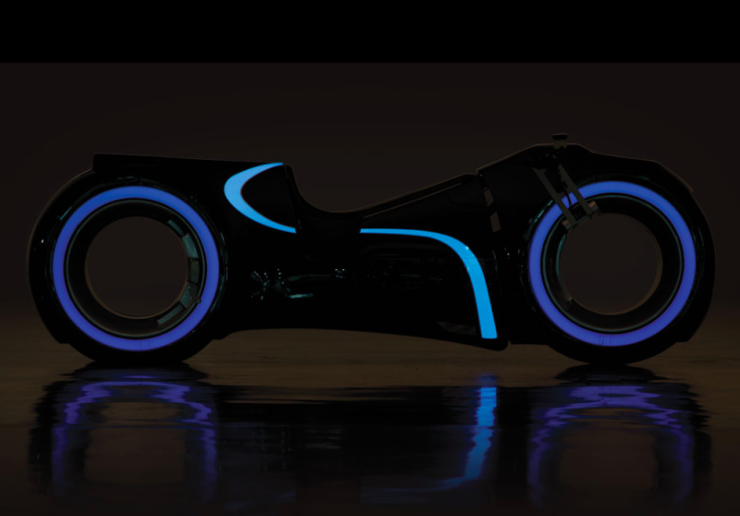 But the convenience of electricity comes at a price: the renege Juggernaut is $5,300! By David Ponce on 05/27/15 • Leave a comment! The thing about electricity-powered vehicles is they have to reach a critical mass, a point at which their use doesn’t involve a dramatic sacrifice of convenience, for consumers to pay attention. 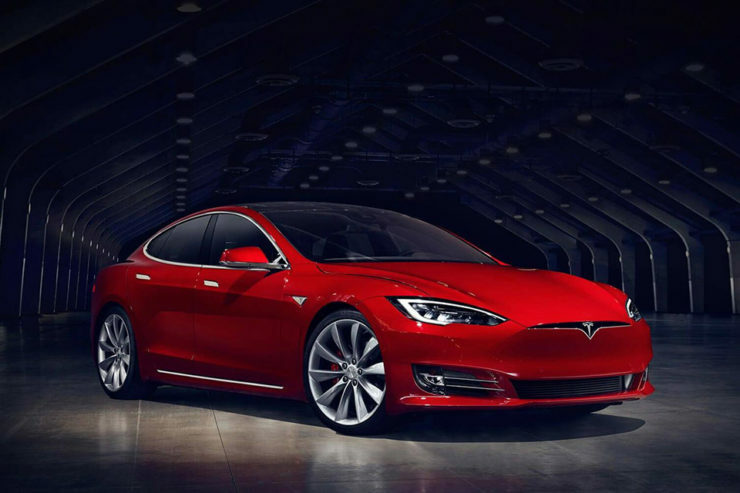 Tesla cars, for instance, don’t compromise on range, performance, or safety, and are thus enjoying widespread adoption. Electric wakeboards, however, could have easily been ignored if they didn’t have the kinds of numbers the Radinn Wakejet Cruise has: 25 knot speeds, for 30 minutes, at full speed, with a 1 hour charge. 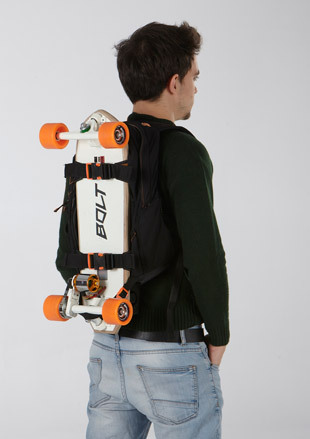 That’s 28.8mph, or about 46.3kph, which is pretty darn fast for a floating board. 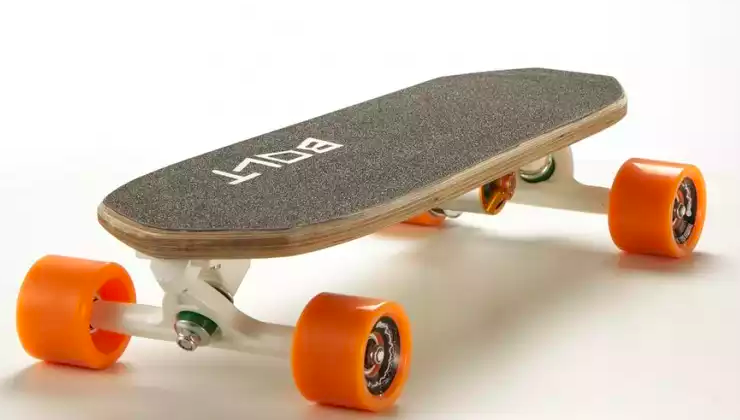 It accomplishes this with a carbon fiber and kevlar construction, which keeps the weight down to 29kg (63.9lbs), and an electric brushless motor that’s “nearly silent”. 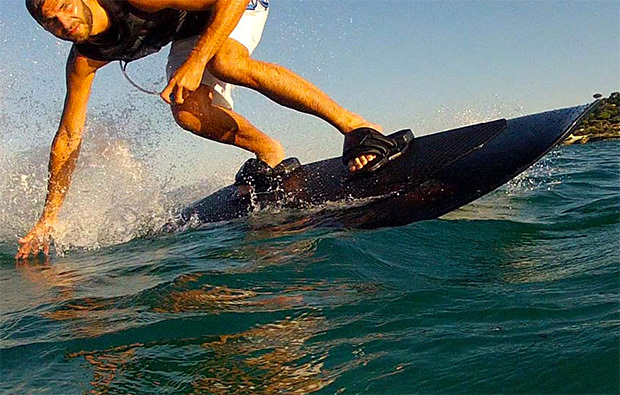 You don’t need waves wherever the Radinn Wakejet Cruise goes, but… you do need a heck of a bank account. It’s a $19,375 purchase. Yeah, so, about that critical mass… it sort of goes like this: affordable – good range – fast, pick two. 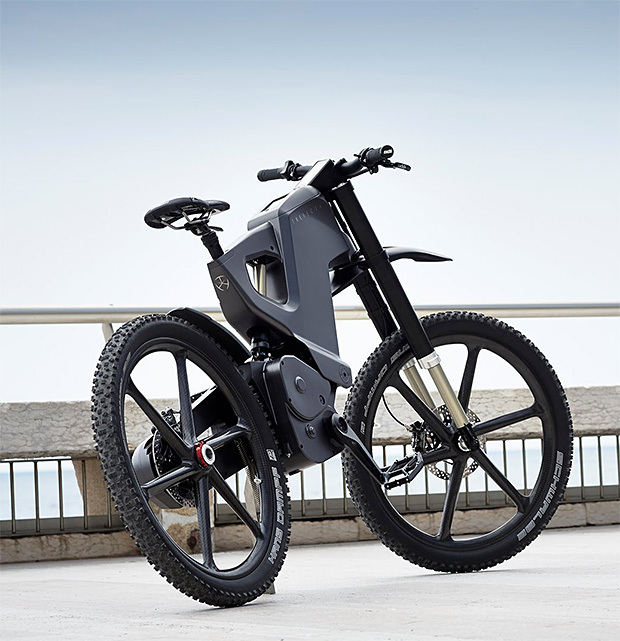 You’re looking an an electric bicycle that still allows you to power through things using your legs, or letting the electric motor take over when you’ve had enough. It’ll let you cruise at 55kph (34.2mph) for up to 100km (62miles) on a charge, but will go further if you don’t get lazy and pedal a bit; top speed is even higher at 70kph (43.5mph). Better yet, it’ll be juiced back up to 80% in one hour, making it possible to go long distances with a simple lunch break in the middle. Regenerative braking, integrated touchscreen controls, “fly-by-wire” handlebar controls, Tailtronic electronically controlled suspension, carbon fiber wheels, quick release interchangeable battery pack… and the list goes on. Matter of fact, this baller bike is just too cool for school, and we think that if you’ve got $25,000 burning a giant hole in your pocket, it’ll be well spent here. You can’t quite buy it now however, but you can request a pre-order and hope to be given a chance to plunk down the cash when the time comes… which is undetermined, apparently. 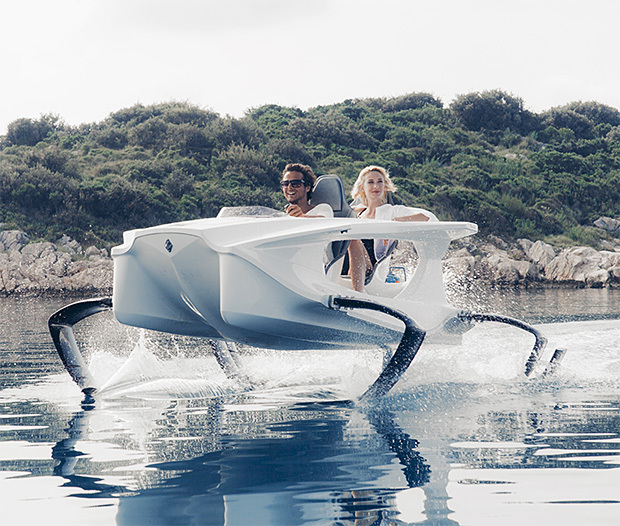 Look at this watercraft and tell us it doesn’t scream: the future is here! It’s an electric quadrofoil craft that gets up to 21 knots (40 km/h or 25mph) and has a range of 100km (62 miles). Its all-electric operation means it’ll be relatively silent while floating above water, and not one drop of oil will ever enter the environment. It’s easily steered, is allegedly unsinkable (with a Titanic reference in their material, it’s hard to take it seriously), sits two, and features an anti-collision system that will reduce impact forces in case you run into something. Of course the future isn’t cheap and the Limited Edition QS2 will set you back a cool 22,500 €, or roughly $28,144USD. But at that price you’ll have the coolest watercraft on the pond, bar none.